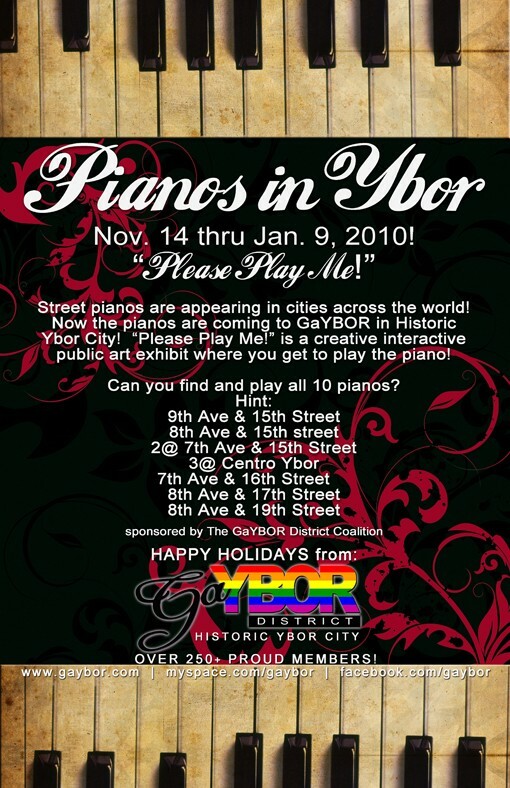 Ybor City, Tampa&apos;s historic Latin quarter, always has something exciting going on and right now the GaYBOR District Coalition&apos;s interactive art project Pianos in Ybor: Please Play Me is all the rage! Ten pianos have been beautifully decorated by local artists and have been restored & tuned and are available for the public to play 24/7. The GaYBOR District Coalition, led by president Carrie West, has been instrumental in revitalizing business in the National Historic Landmark District, Ybor City. It&apos;s such a unique, treasured part of Tampa and plays such a huge role in Tampa&apos;s history so it&apos;s nice to see good things happening! The Pianos of Ybor project is just one thing that is turning this area around in a positive way. The project has received great press, both nationally and internationally. 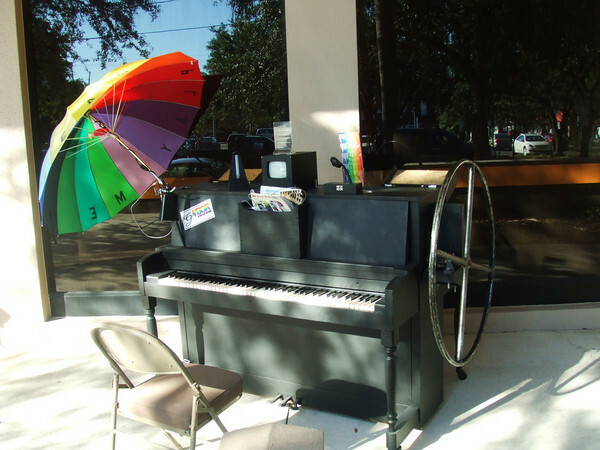 The pianos will be on display through January 10th then will be auctioned off. Be sure to stroll through Ybor City to check out these colorful pieces of art. Stay tuned for more Tampa Bay events taking place!